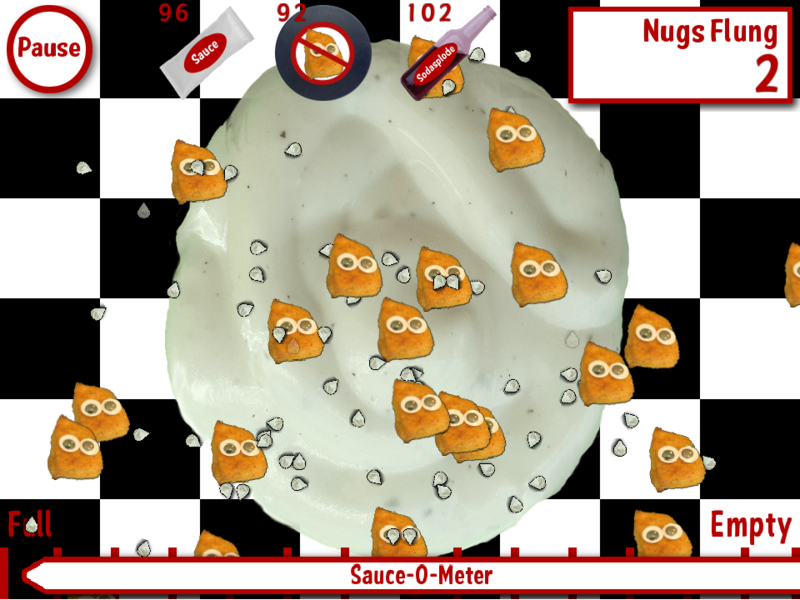 Nugs love splashing in dipping sauce! Rocksson Gaming is thrilled to announce the release of our second title: No! No! Nugs! Currently, No! No! Nugs! is available for Android devices from the Google Play Store here. Like S.M.A.K. robots, No! No! Nugs! is ad supported and free to play for all. Check it out when you get a chance! The Rocksson Diner menu, straight out of the 1950’s! Nug Fling platter with Ranch dipping sauce. 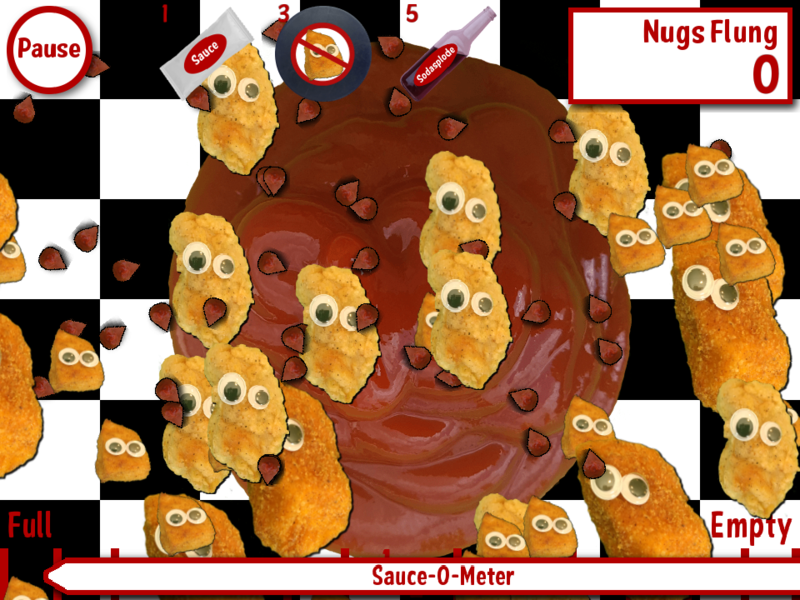 And of course, as you can see from the pictures, there’s no shortage of nugs. In fact, they’re everywhere! 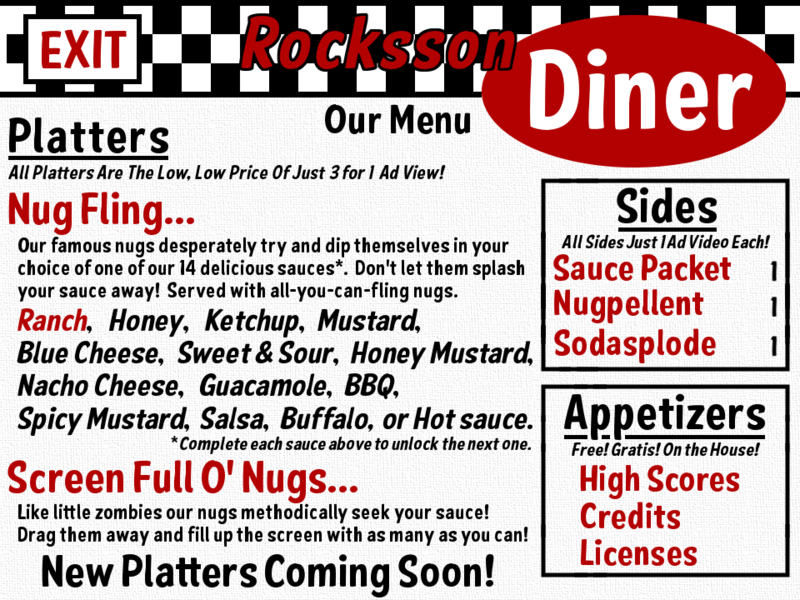 So, if you find yourself with a hankering for nug flinging, take a trip to the Rocksson Diner via No! No! Nugs! today. Open 24 hours. Previous Post: All Systems Go For Launch!